Four days to the end of the world – or at least the end of the Mayan calender on December 21, 2012 according to researchers decoding several ancient Mayan glyphs. The Australian Prime Minister made her own statement about the end of the Mayan calendar with a spoof video about the upcoming zombie apocalypse. Seriously though, what can we expect for December 21? One thing is certain, December 22 will follow with many End of the World party hangovers. What else? Perhaps we should look to the region of the world where the Mayans lived, and where an interesting phenomenon has been happening for some time – fleets of UFOs have been sighted and recorded. Does the end of the Mayan calendar coincide with the mysterious sightings of UFO fleets around the world, especially in Mexico and Central America where the ancient Maya lived? The most well documented recent mass UFO sighting was in Guadalajara, Mexico in June, 2004. Hundreds of luminous objects were seen during daylight hours by multiple witnesses and recorded on video. An exhaustive investigation by Mexico's most eminent UFO researcher, Jaime Maussan, concluded that the UFOs had no terrestrial explanation – they were not balloons, Chinese lanterns, birds or other earthly phenomenon. Maussan had one month earlier investigated official Mexican Air Force infrared camera footage released exclusively to him of a fleet of UFOs encountered that could not be explained by Mexican Air Force investigators. There have been many more sightings of UFO fleets in Mexico, most recently on December 1, 2012. So are we being visited by other worldly visitors in the lands of the Maya – and it is all being recorded on film? Perhaps, but what about the USA, why aren't there similar sightings of mass UFOs? It will surprise some to learn that the earliest sightings of fleets of UFOs occurred in the USA. The most famous was the Washington flyovers in the summer of 1952. Over three successive weekends from July 12 to 27, fleets of UFOs – or "flying saucers" as they were called at the time – flew over Washington DC. There were thousands of live witnesses whose reports quickly led to the US Air Force's official UFO investigation – Project Bluebook – being overwhelmed. The UFOs were captured on film, on radar, and visually sighted by US Air Force pilots on intercept missions. 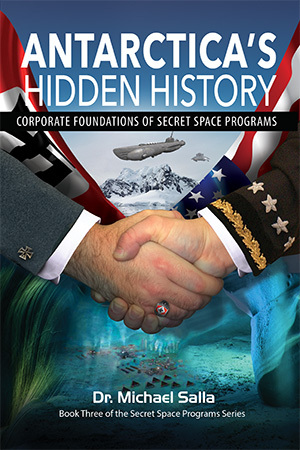 The fleets of UFOs received much national press attention, and even led to President Truman making a live statement to the public. The US Air Force made an official statement basically debunking the mass UFO sightings as misidentified meteorites, planets and temperature inversions. The Air Force explanations were widely ridiculed by independent experts, but had the effect of defusing press interest and quietening the general public for the moment. The public backlash over the official response to the Washington DC mass UFO sightings, led to a rethink in the government's strategy for responding to any future sightings. especially when involving fleets of UFOs. The Central Intelligence Agency, not the US Air Force, would play the lead role in developing and implementing the government's new strategy. The CIA convened a panel of scientific experts to look into the UFO phenomenon, and to develop a set of recommendations that could be implemented by different government agencies. The Panel was convened in January 1953, and named after its Chair, Dr Howard Percy Robertson who was an eminent physicist. What we know of the Robertson Panel's deliberations comes to us from Dr J. Allen Hynek who was an associate member of the Panel. Hynek was shocked to learn that the Robertson Panel was intent on debunking all reports, no matter how credible or strongly supported by independent analysis. In a historic video clip, Hynek reveals how a detailed 1000 hour analysis by the US Navy’s photographic interpretation laboratory of a Navy officer’s film of what appeared to be a fleet of UFOs appearing near Tremonton, Utah was ignored. After viewing the “Tremonton case” film several times, the Panel concluded that the multiple objects were a flock of birds, when the Navy analysis had excluded this possibility, and concluded instead that the objects were, according to Hynek, “self-luminous unidentified objects.” The Tremonton case film footage was important since the objects in the video look strikingly similar to more recent reports of fleets of UFOs filmed flying in Guadalajara, Mexico and other locations during daylight hours. Most importantly, the Tremonton UFO case occurred on July 2, 1952, less than two weeks before the Washington DC UFO flyovers began – suggesting a very likely connection between two cases of fleets of UFOs being sighted and recorded in different parts of the USA. The Panel’s concept of a broad educational program integrating efforts of all concerned agencies was that it should have two major aims: training and “debunking.” …The "debunking" aim would result in reduction in public interest in "flying saucers" which today evokes a strong psychological reaction. This education could be accomplished by mass media such as television, motion pictures, and popular articles [emphasis added].… Such a program should tend to reduce the current gullibility of the public and consequently their susceptibility to clever hostile propaganda. 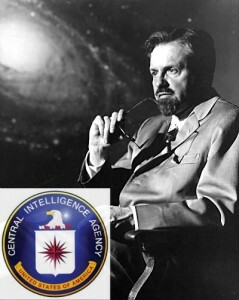 Hynek’s frank admission confirms suspicions that the Robertson Panel and its conclusions, called the "Durant Report", were biased, and part of a CIA orchestrated plan to persuade the American public to dismiss the UFO phenomenon for national security reasons. Fleets of UFOs that flew over US cities would henceforth be debunked as misidentified birds, planets and other natural phenomenon. As we approach the end of the Mayan calendar, the surge in recent reports of fleets of UFOs in areas inhabited by the ancient Maya, does naturally lead to the question of whether this is what the Maya had foreseen. While considering this possibility, it is worth remembering that one of the earliest known reports of a fleet of UFOs had been confirmed to be authentic by a US Navy investigation, before being debunked by the CIA’s Robertson Panel. 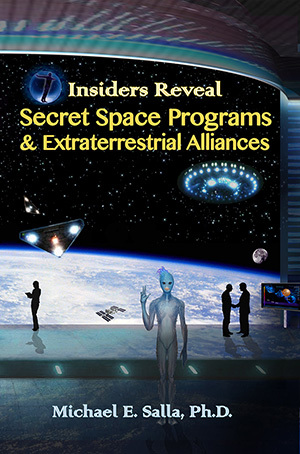 The world wide reach of the CIA makes it the lead organization in debunking reports of fleets of UFOs being witnessed around the planet, and the possibility that UFOs are extraterrestrial in origin. There is much documented evidence that the Earth has been visited by fleets of UFOs, and such sightings have increased as we approach the end of the Mayan calendar. Perhaps December 21, 2012 will lead to an acceleration of UFO fleet sightings, that may well signify an the end of the world, as we know it! Prometheus – are humanity’s creators about to return & destroy us?